STORIES PEOPLE © Disney POSSIBILITIES Entertain. Enlighten. Inspire. The Walt Disney Company is built on the magic of storytelling. Our people are at the heart of everything we do, and ensure that the stories we tell are as vibrant and varied as the world around us. 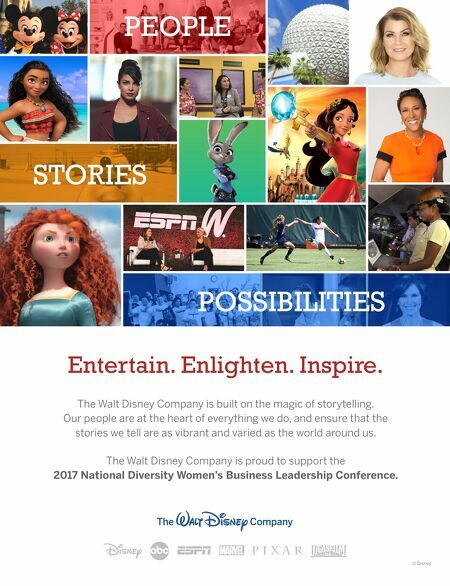 The Walt Disney Company is proud to support the 2017 National Diversity Women's Business Leadership Conference.